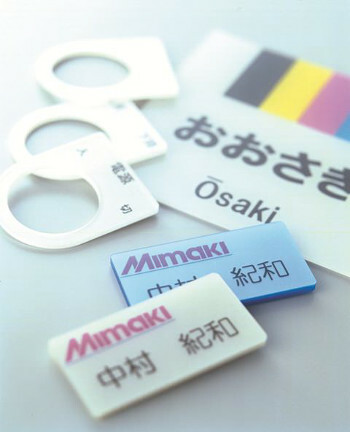 Mimaki to showcase plastic printing solutions at Fakuma 2014. Mimaki is to show high quality print production capabilities on a range of substrates at Fakuma 2014 in Germany Mimaki intends to show visitors attending Fakuma 2014, the international trade fair for plastics processing, its high quality print production capabilities on a range of materials including plastic bottles and ID cards as well as metal plates. The exhibition takes place at the Neue Messe 1 in Friedrichshafen, Germany, from October 14th to 18th. 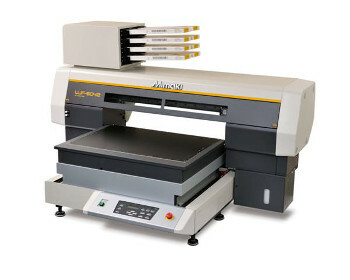 Under the slogan “Let’s Create Together”, Mimaki will highlight the array of possibilities delivered by its UJF-3042 LED UV flatbed printer on stand FW-18 (foyer). The company said that the printer is ideal for short runs and on demand printing directly onto materials up to 50mm thick for uses as varied as coloured pencils to USB sticks. The Mimaki UJF-6042 is one of the machines to be shown at Fakuma 2014Also on show will be Mimaki’s A2 format UJF-6042 LED UV flatbed printer which boasts greater versatility and photo-quality 1800dpi x 1800dpi print reproduction onto an almost limitless range of materials, objects and substrates up to 150mm thick. This machine has been developed to handle a host of applications including gifts and novelties, 3D lenticular products, photo albums and name plates. It will be equipped with Mimaki’s Kebab Option. Using rotary rollers, the Kebab option enables print to be placed on the entire surface of a cylindrical item in a wide range of materials and sizes. It comes with user-friendly print settings and functions and intuitive operation which Mimaki maintain allows it to be simply introduced into any print production environment for the innovative personalisation of items ranging from candles to bottles. “Gravograph is a perfect partner to complement what Mimaki offers and together we will encourage Fakuma 2014 visitors to be more imaginative when it comes to finding ways to make their print production stand out from the competition,” Horsten concluded.